Lips play such an essential part of our daily interactions, verbal or non-verbal. A simple smile can express so much about a person. That’s why taking care of our lips shouldn’t be less of a priority for us, and most of us understand that. Our quest for making our lips look more and more attractive a takes us to so many different preachers, bloggers, vloggers, etc. Well, no more looking. We, here, have gathered these fantastic tips to glam up them lips. All you have to do is the scroll and learn. Put one tsp oil (avocado oil, olive oil, or sweet almond oil), 1 tbsp sugar, 1 tbsp honey into a small mixing bowl. Add the coconut oil, Shea butter (or Vaseline). Stir it until you get a properly mixed thick paste. Use it as a scrub on your lips. This, again, is an exfoliation method but you just need one thing – a soft toothbrush. Gently rub the toothbrush on your lips in small circular motions. It will get rid of the dead skin cells, leaving you with soft and smooth, lipstick ready lips. We don’t all have correctly even colored rosy lips. To correct that that discoloration of your lips, first cover them with a concealer, then use your liner to define the shape of your lips and fill your lipstick in to finish it off. And as a bonus, the concealer also makes that lipstick last significantly longer. Win-win. Blending your lip liner and lipstick if they’re off a bit different shades, or two different shades of lipsticks, if that’s what you’re going for, is very important, unless you’re Lady Gaga (in that case, you do you, there are no boundaries). The only place you need to blend is in the middle of your lips. 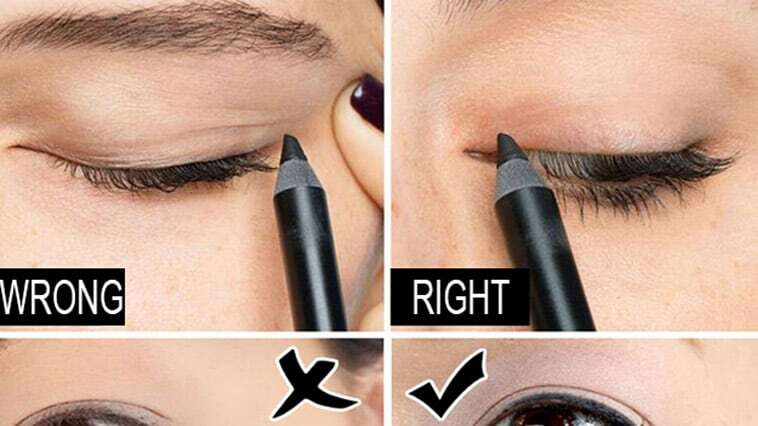 If you feel like your liner isn’t giving you the crisp lines you would much rather have, just use some concealer the way it is shown in the above picture and voila! Sure, pumped lips were a thing even before Kylie sensationalized it, but you have to admit that she grabbed our attention towards them pretty good (and made a career out of it). To get those Kylie-like fuller lips you don’t necessarily need lip injections. Just outline the boundaries your lips, you can even go a bit beyond to make them look more significant(but not too much or else it’ll give away the whole illusion). Apply a concealer in the middle to give your lips a fuller appearance. Don’t you hate it when you just fall in love with a lip shade from a distance like you could name your first-born after that shade name but when it goes on your lips it just ends up looking like a complete disaster? Well, don’t blame yourself or your pretty lips, it’s all just basic color schemes. You have to find the colors that you like and also look good on your skin tone, rather than just picking the ones that look good on certain celebrities and models. Use the above image as your guide to finding that perfect shade. That professional salon style level of the application doesn’t have as terrible as you would have imagined. 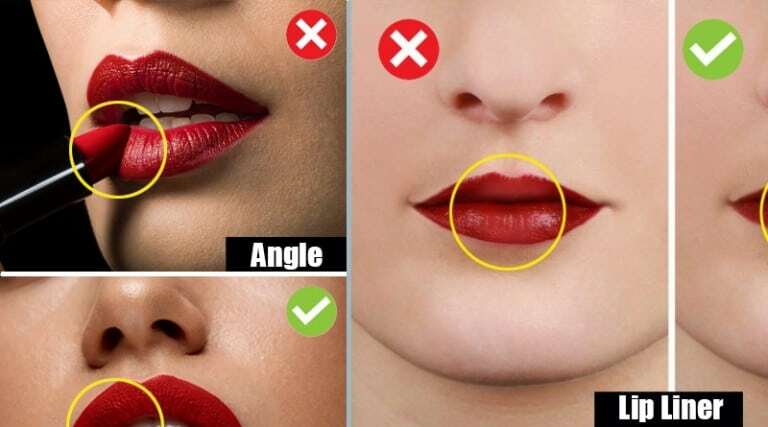 All you have to do is start with tracing your lips, create a cross at your cupid’s bow and then finish by filling it all in with the perfect shade. Remember always to use matching liners and lipstick to attain those perfect lips. Start with a concealer to cover your lips and then go for a bold shade for the middle of your lips. Then smudge it carefully with a Q-tip to the edges of your lips and what you will end up with is a makeup that looks delicate and tender.